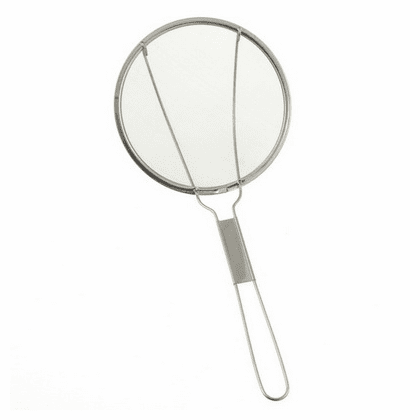 A fine mesh skimmer suitable for cooking tempura and some fried food. Used to filter out small particles. 7" in diameter, 15-1/4" long #460135 ($10.95).